- Two or three tube supports or dimpled tread plates. 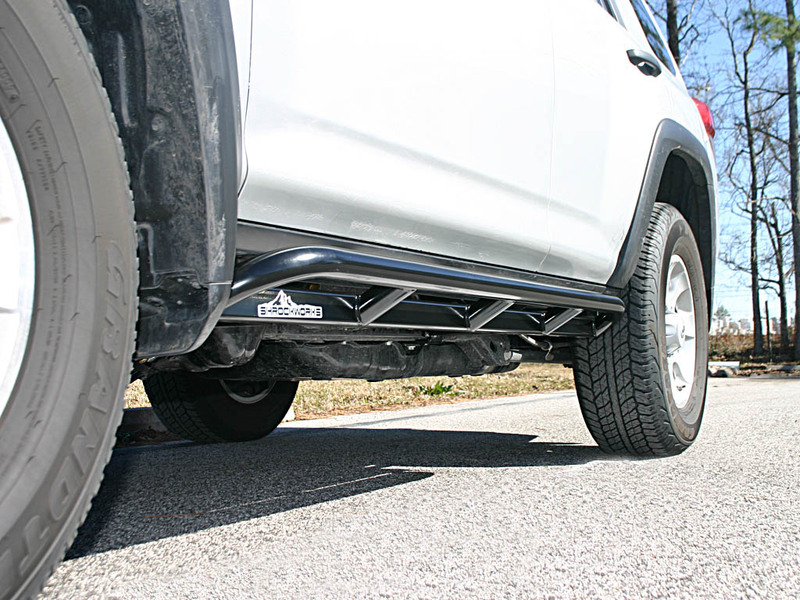 The tube support design is angled up 30* while the dimpled tread plate design lays flat. I wanted to take the time to thank you for a job well done. 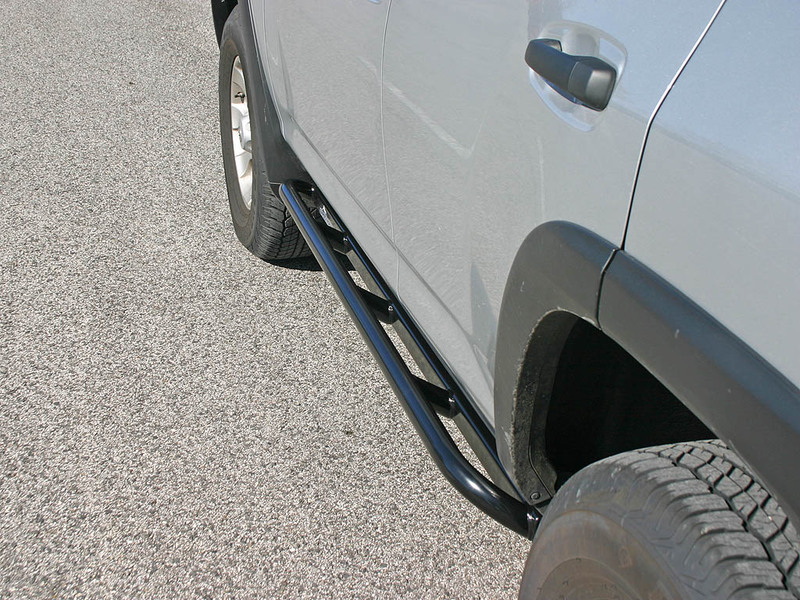 My new rock sliders arrived last Thursday for my 2010 4Runner Trail Edition. I received e-mail notification they had arrived at my house which was nice. They were packed very well in a sturdy foam insulated box without a scratch. This allowed me to plan to install the sliders this last weekend which went very well. The instructions were very good and the sliders fit perfectly. It took 1.5 hours on the driver’s side and 45 minutes on the passenger side. I took my time and it went smooth. I also want to thank you for getting the sliders to me in time for my elk hunting trip. I leave this Saturday and I was afraid I would be installing sliders after work during the week or maybe not having them at all with the normal 4-6 delivery time. I know when I ordered them it was going to be close so I asked if I could have them sooner than later. I actually received them sooner which is beyond the normal expectation. 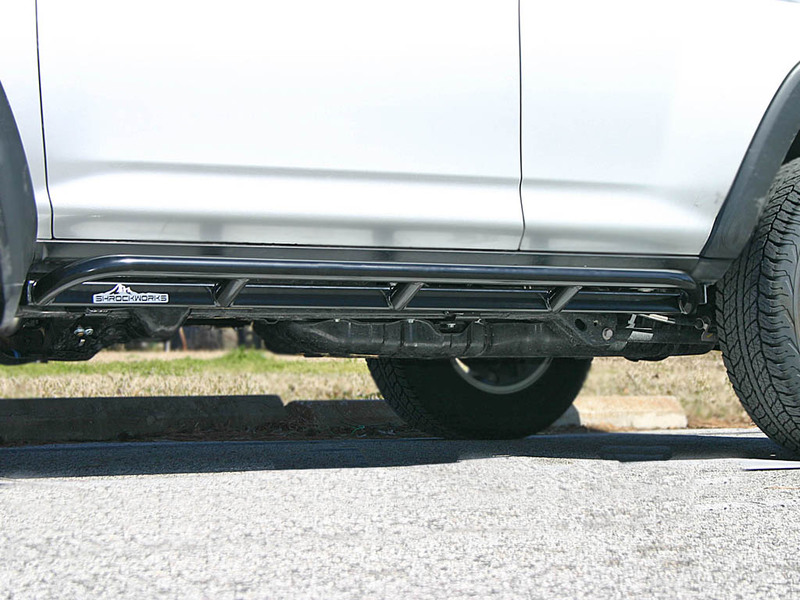 The final installation is not only solid protection and fit – the sliders are good looking as well. 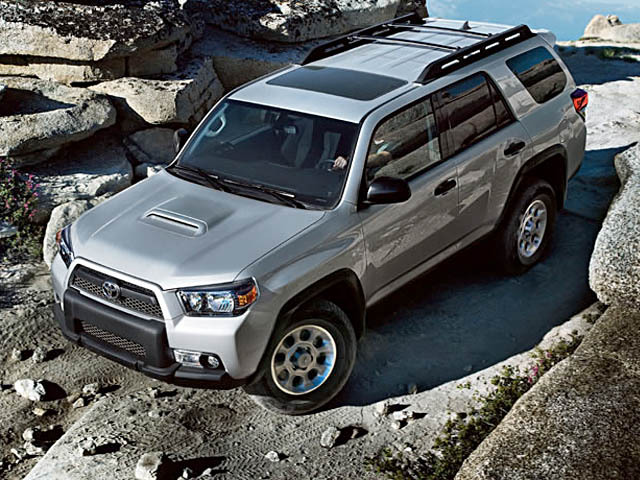 Everyone says – “I like the way they go up” - It is a great design I have not seen on other vehicles. Thank you for an excellent product and excellent customer service. 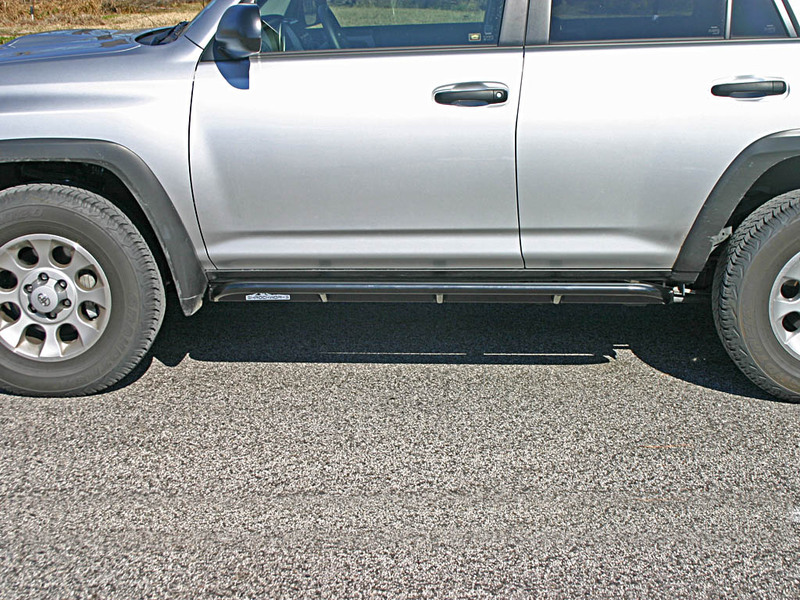 I am very pleased with my new TOYOTA ROCK SLIDERS. 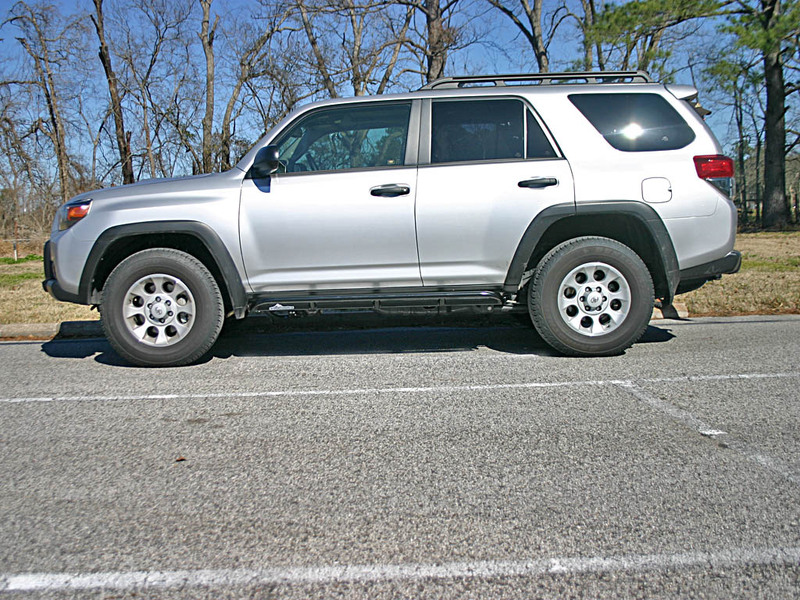 The 2010 "Trail" version of 4Runners is a well thought out rig as were these beefy rocker panel protection skids. The fit and finish is excellent and the "form follows function" design philosophy worked very well here as they are attracting all sorts of comments about how good they look. Installation instructions could use a little tweaking. Some of the situations were too tight for a socket plus ratchet and a Ratcheting Box/Open End wrench worked well. The bolts sent with the slider were US sizes and not metric as listed on the "needed tool" list. No big deal. The biggest problem by far was the lack of a warning about what happens when you remove the bolt that holds the gas tank support strap in place. You loosen the skid pan first, then you can get to the strap bolt head. When you back that out, the tank (mine was near full) sank down a few inches and was difficult to raise without some kind of floor jack which is not mentioned in the needed tools. 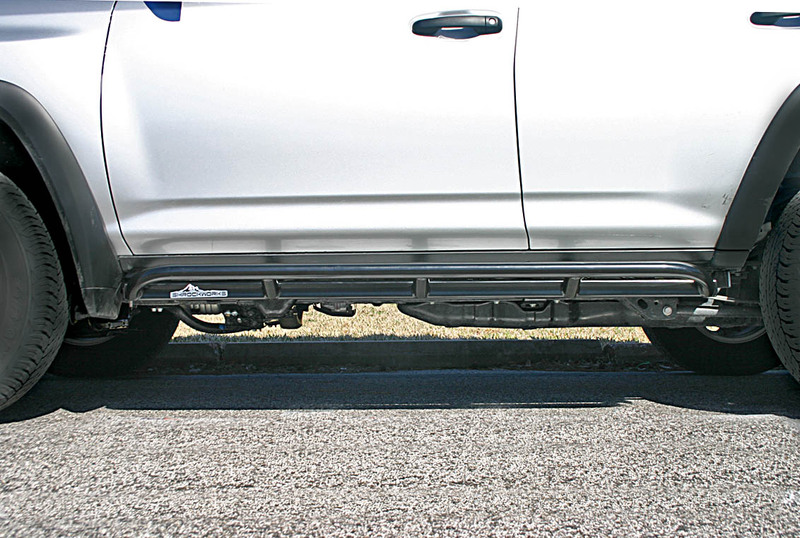 If you are not prepared to figure this little problem out without the right tools and ingenuity, you can find yourself in an awkward situation with the gas tank hanging low and loose under the vehicle. That solved, the rest of the install is as pictured and explained in the instructions. 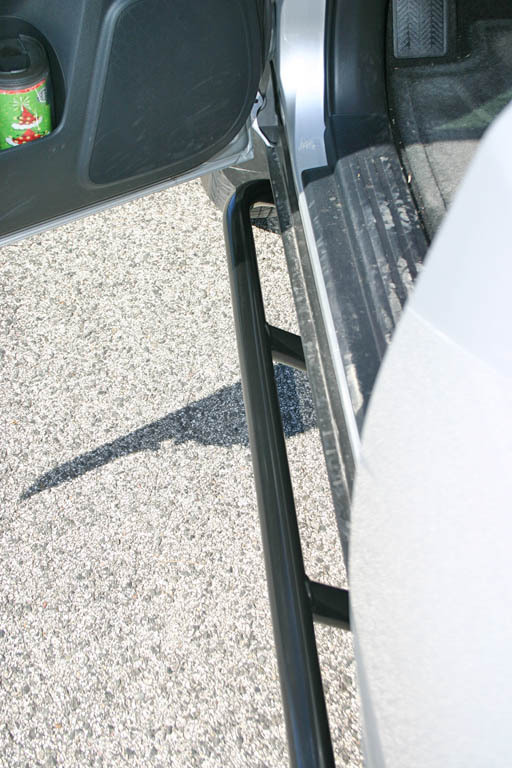 All said, these are strong, well made, attractive and very functional rails and well worth the cost. The guys I spoke with at ShrockWorks were pleasant and informed. I shall return! After a short 5 weeks, I recieved my shrockworks sliders as promised, and in time for our new baby to be born! It took me a few hours to put them on, mostly because I didn't know that the sticknuts don't come apart from the sticks! Do make sure to get some help, as these things are HEAVY!! Thankfully my neighbor is a car nut like me and didn't mind helping me out at 7pm on a Tuesday night. 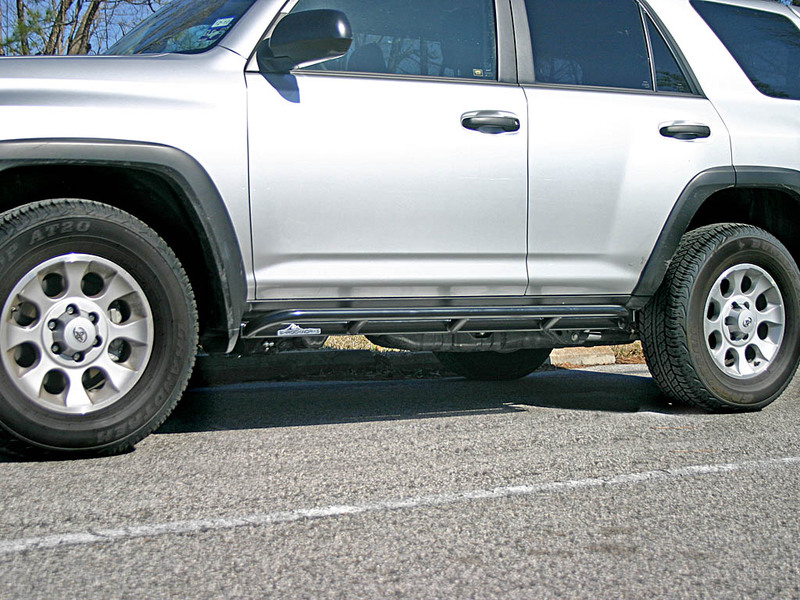 The sliders look fantastic, are super strong and solid, and even my wife was impressed with how they compliment the 4runner. I'd love to see a front bumper that can fit the new 4runner too! 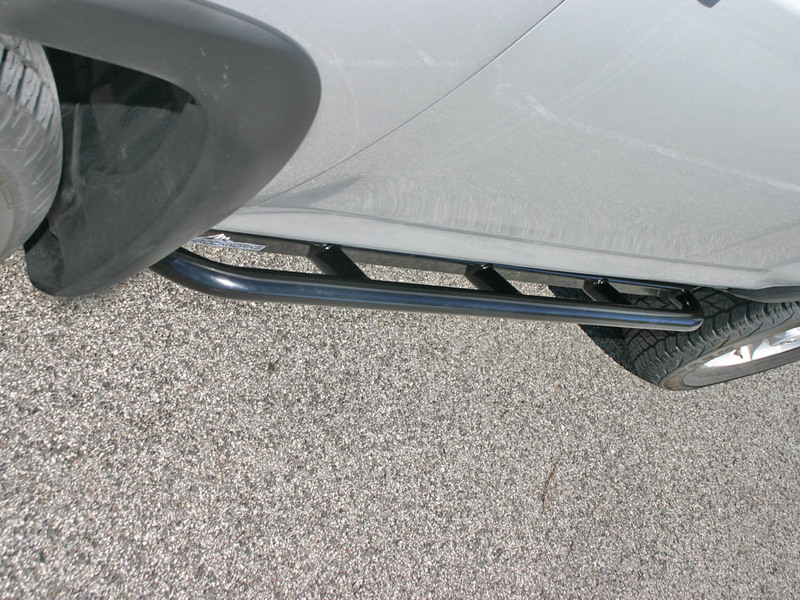 Took the flimsy Toyota product off my 2010 Trail and had these installed. They look great like they were factory designed and are the most functional ones I have seen and used. 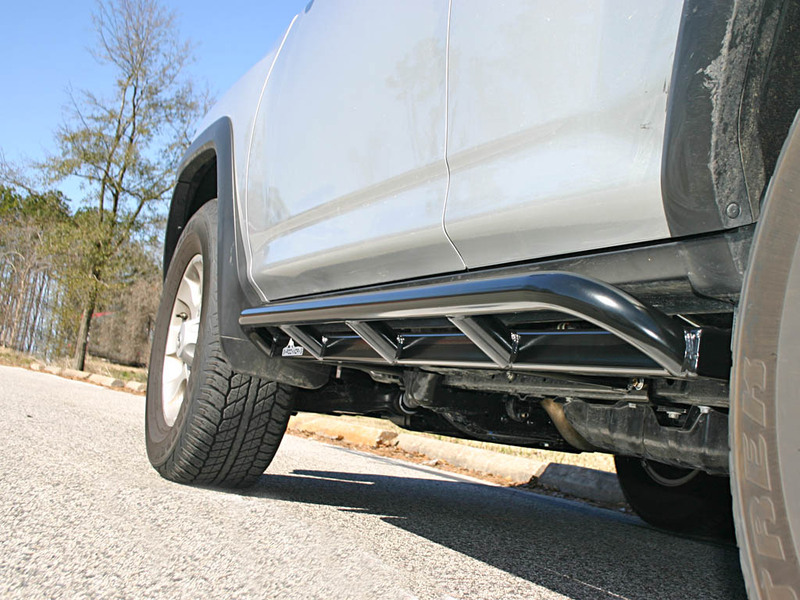 Great product and go great with their bumper that I have.